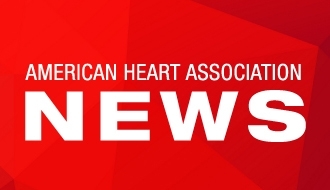 DALLAS, June 26, 2017 – The American Heart Association (AHA), the world’s leading voluntary health organization devoted to fighting cardiovascular disease, presented its 2017 Gold Heart Award to Lexington, Kentucky physician Donna Arnett, Ph.D., MSPH, FAHA; Boston, Massachusetts physician Joseph Loscalzo, M.D., Ph.D., FAHA; and Dallas, Texas executive Ronald Haddock. The award is the highest honor the Association gives in recognition of continued distinguished service. The awards were presented at the association's 2017 Gold Heart banquet in Dallas on June 20. Arnett, dean and professor of epidemiology at the University of Kentucky College of Public Health in Lexington, was recognized for outstanding contributions supporting Association initiatives for cardiovascular disease prevention, health equity and workplace health. A volunteer since 1990, Arnett served as the association’s president in 2012-13 and is a past chairperson of the organization’s Research Committee, Science Advisory & Coordinating Committee and Scientific Publishing Committee. Haddock, executive chairman of AEI Services, LLC and a board member at Alon USA and Petron Corporation in Dallas, was the Association’s chairman in 2012-13 and secretary-treasurer in 2010-11. Haddock has led major fundraising growth for the Association in the Dallas area, and has been a leading champion of the organization’s initiatives focused on international health. In 2011, Haddock and wife Sandi donated $1 million to establish the Ron Haddock American Heart Association/American Stroke Association International Impact Award, presented annually for outstanding contributions to support the organization’s global initiatives.